Coimbra, in the heart of Portugal, was the medieval capital for more than a hundred years. Monumental, inspiring and surprisingly charming, the city faces the Mondego River, crowned by the University and its stunning baroque library. Coimbra is the oldest university city in Portugal, where students dressed in black roam the streets, keeping alive the tradition of the night serenades of Fado de Coimbra. An intrinsic part of the city for more than 25 years, Tivoli Coimbra Hotel is the chosen place for special occasions and events. Sit back in stylish surroundings and enjoy our trendy new coffee shop, Simone. Ideally located for a city break, our 4 star hotel in Coimbra also benefits from a region rich in attractions: the historic centre, the University Library, the Santa Clara-a-Velha Monastery and the Sé. Nearby is Conímbriga, a well conserved city of the Roman age. For the more active, canoeing on the Mondego River is a must. Families can visit the Portugal dos Pequenitos to see the most emblematic cities and monuments of the country in miniature form. From the classic rooms to the suites, all of our rooms are spacious and comfortable. The superior rooms, with their quiet colors and beautiful views, also offer tea and coffee making facilities. Family trip? To experience quality family time, try out our living room suites or opt for connecting rooms. This is the hotel where traditional service blends with contemporary style, and the unique Tivoli touch. Open every day for lunch, dinner or snacks and salads, the Simone Coffee Shop is a favourite place for guests and locals to have a drink or a meal based on delicious regional dishes. 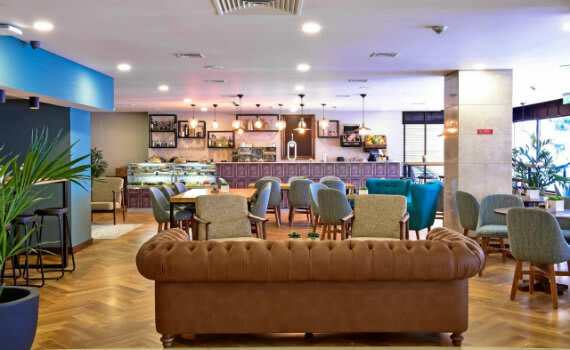 Whether traveling for business or pleasure, relax and unwind at the Simone Coffee Shop and discover the best cocktails, light meals and desserts. 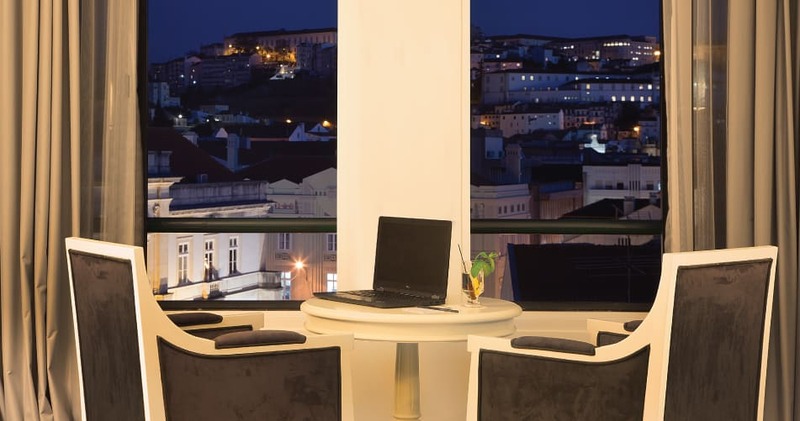 Tivoli Coimbra Hotel puts your business first. Our experienced teams and the location in central Portugal, as well as easy access to major motorways and railways make us the obvious choice for meetings and events. The capacity for 100 delegates, an inspiring decor and audiovisual equipment of the 5 meeting rooms guarantee the success of your banquet, wedding, meeting or conference in Coimbra. The rooms and suites at Tivoli Coimbra are getting a sophisticated revamp. Here’s a preview of the sleek modern touches and updated amenities to come, in the perfect downtown location our guests already know and love. Discover and experience the heart of Portugal. Our T/Experiences are authentic, curated just for you, perfectly tailored to your wishes and to your holiday plans. With them, you'll discover the authentic Coimbra - one that most visitors never see. We were very pleased with our room. The bed was VERY comfortable. The bathroom was modern. The staff was very friendly and efficient.